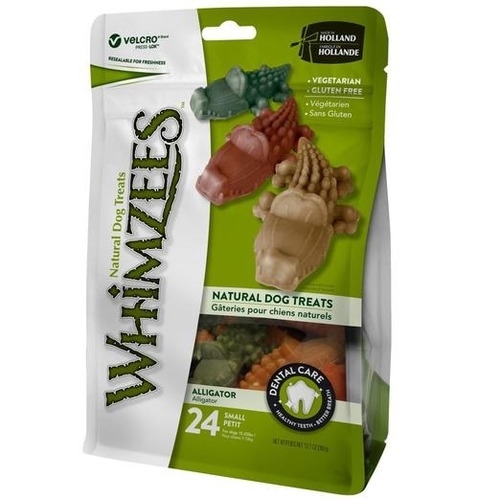 Now your dog’s dream of catching an alligator can come true! 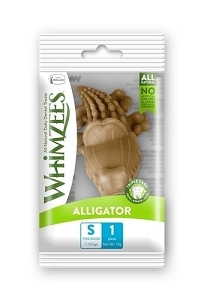 Whimzees Alligator Natural Dog Treats are made with all-natural ingredients, the vegetable-based texture will help remove plaque and tartar as they chew. 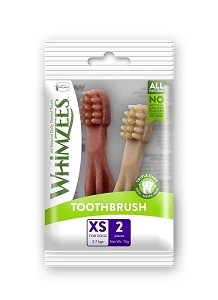 Potato Starch, Glycerin, Powdered Cellulose, Lecithin, Yeast, Malt Extract, Lupine, Annatto Extract Color, Alfafa Extract.